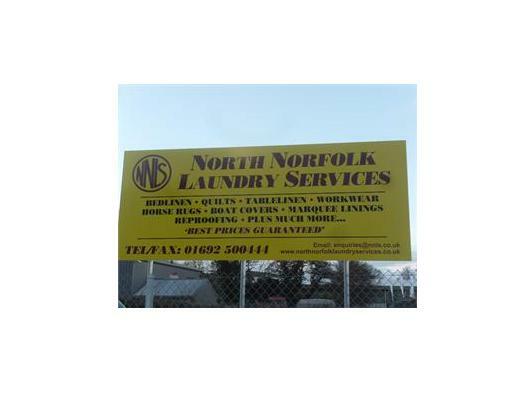 North Norfolk Laundry Services is a North Walsham based family run business. We first started in 1990 and still retain customers from when we started. As the name suggests we are based in Norfolk and have become one of the leading providers of commercial laundry services to the tourist industry in the Norfolk area as well as linen hire. We are also very proud winners of an EDP business award. We pride ourselves on providing customers with individual, cost effective and efficient service from start to finish. Our work ranges from small Bed & Breakfast’s to large holiday villages and Norfolk Broads boat companies. We also provide a laundry service for workwear, marquees, boat covers and horse rugs. Not only does North Norfolk Laundry Services provide an exceptional laundry service but we can offer a reproofing service to keep those rugs and covers in tip top condition. We can also take care of all your dry cleaning needs. We offer a tablelinen hire service with very competitive rates for both one off hires and regular short and long time hires. We stock luxury white cotton ivy leaf tablecloths slips and napkins which offer a touch of elegance to a Wedding, Office function, Birthday or in fact any occasion. We also have a selection of coloured napkins slips and tablecloths. If however we do not have the size or colour you require in stock we can get it for you.